Electric turntable for track gauge TT, with a revolving platform length of 183 mm. Comes with 6 ascent-descent tracks and one turntable mounting.The maximum possible 24 ascent and descent tracks stand at an angle of 15 degrees to each other. 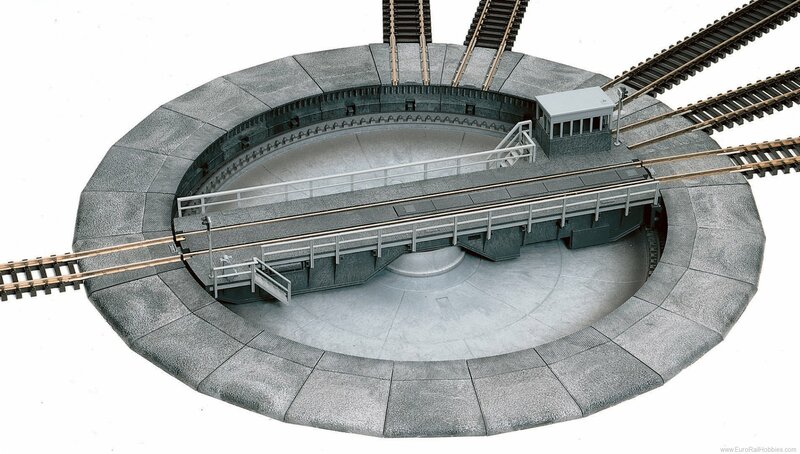 Only the tracks that are connected to the revolving platform are power supplied. The locomotives can be extended up to a 170 mm wheel base length.